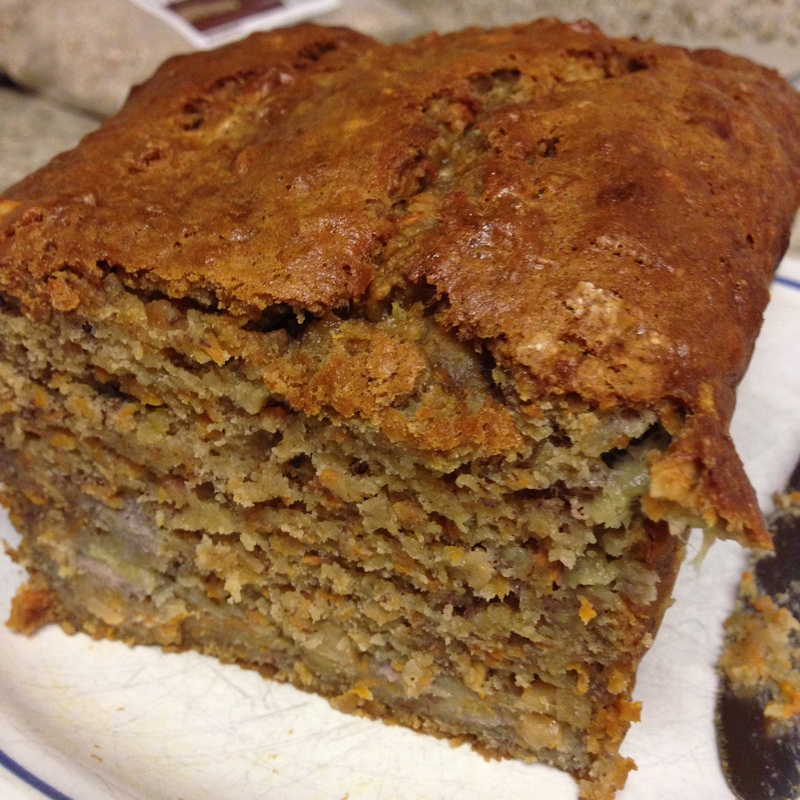 Here’s another sweet variation on banana bread. It’s got a few interesting twists like lemon zest and dark chocolate. I also used olive oil instead of butter or vegetable oil. 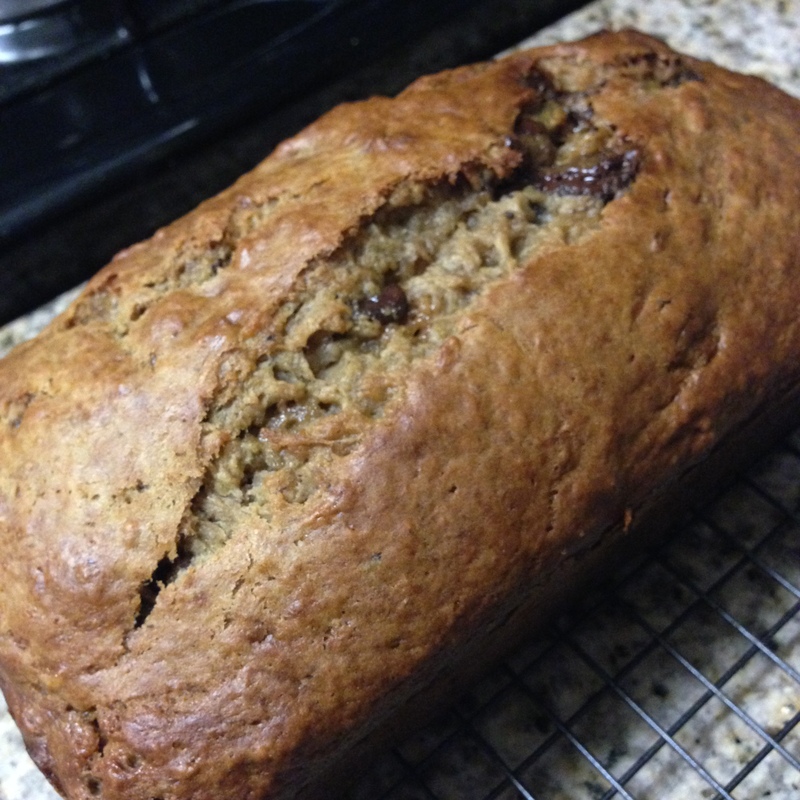 The result is a banana bread that is a sweet surprise! Preheat your oven to 350 degrees. Lightly grease a loaf pan with nonstick cooking spray. In a medium bowl, mix together the bananas, yogurt, eggs, olive oil, lemon zest and vanilla. In a large bowl, combine the flour, brown sugar, baking soda, cinnamon, nutmeg, and salt. Add the banana mixture to the dry mixture. Stir until just combined. Pour the batter into the loaf pan and bake for 45-55 minutes, or until golden and just set in the middle. Allow to cool 15 minutes before removing from the pan. Cool completely on a cooling rack. This is a light banana bread with a hint of honey. 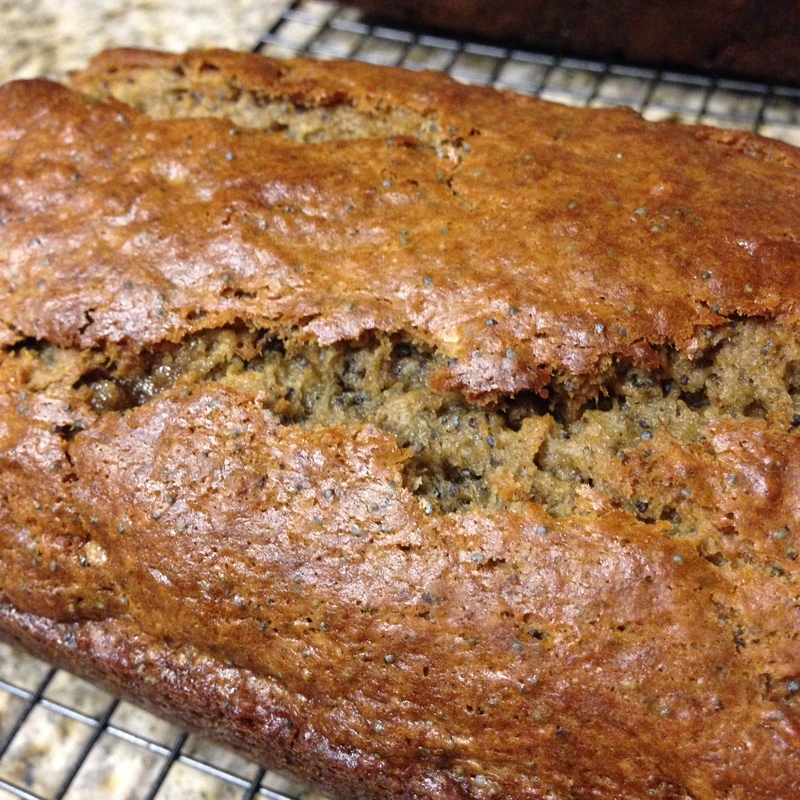 It’s also full of poppyseeds, which is something I really like when I bake sweet breads. Your house will smell awesome when you make this! I challenge you to wait till it has cooled off before cutting a slice. In a medium bowl, mix together the bananas, yogurt, eggs, butter, honey and vanilla. In a large bowl, combine the flour, brown sugar, baking soda, baking powder, cinnamon, nutmeg, cloves, salt and poppyseeds.